Personal Thoughts: I was on crunch time for AX ’11 and I needed a cosplay. What could I do, what could I do? 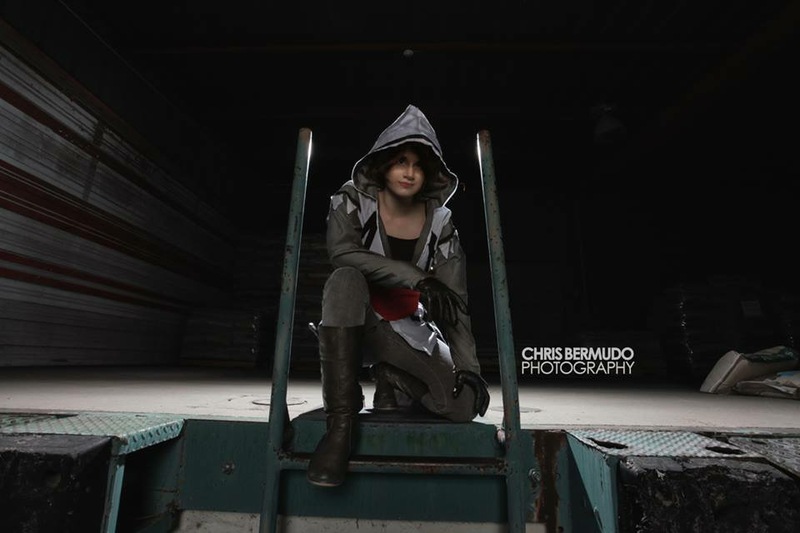 I like Assassin’s Creed but most of the costumes are way too elaborate for my crunch time. Who could I do? Are there any women in the other games? I’ve only played one so far. Ohhh, there’s a woman! She’s an apprentice! Let’s do it! The black lines on the jacket are bias tape running all around the jacket. The sash was recovered from my old Temari cosplay and I used some skinny jeans from my closet. Aside from the jacket, it was a really easy cosplay. The bias was a little difficult only because I kept running out of it but it was fun to line the costume with it! The only stupid thing about the costume is I was still figuring out how to advance my sewing. I wanted hidden seams so… I used invisible thread. The thread kept snapping so it was a nightmare but hey, you can’t see the seam lines! (Obviously this is not the correct way to do hidden seams, I later learned :’) ). Even though it’s kind of a hot mess to wear. I really love how it turned out. Would I do it differently if I were to remake it? Hell yes.